CAN I TRUST THE PET SITTER WHO'S GOING TO LOOK AFTER MY PET IN MY HOME? When you organise pet sitting in your home,and hand over your house keys to a complete stranger, It’s natural to wonder if you can trust the petsitter who's going to look after your pet in your home.You can take certain steps in order to feel confident about your pet sitter. Before handing over your pet, it’s vital to arrange a meeting with the pet sitter you have chosen. If you’ve chosen pet sitting in your home, it makes sense to have this meeting in your house or flat. In this way, not only can you get to know the sitter, you can also show them round your home and provide them with any specific instructions for the sitting. By visiting your home the pet sitter will also be able to meet your pet in its home surroundings. It’s important to arrange this appointment in your home and with you present so that your pet gets used to its future carer. 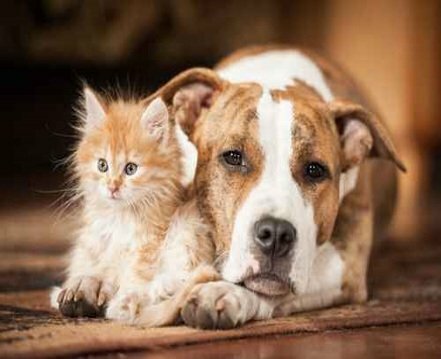 If you’re not there when your pet first meets the sitter, then the pet may behave in a hostile manner as it could perceive the sitter as an intruder in the home. When you choose pet sitting in your home, it’s quite normal to worry about how much you can trust the pet sitter. However, it’s important to be aware that some websites have been offering this service for several years and so have a wealth of experience in this field. If a pet sitter is staying in your home then they are expected to leave it in the state they found it i.e. clean and tidy. You may wish to provide the sitter with a list of house rules (dos and don’ts) plus any relevant instructions about use of appliances etc. Naturally the sitter will need a set of keys for the duration of the pet sitting. So it’s important to discuss with the sitter the best way for them to return your keys at the end of the pet sitting. Usually sitters drop the keys through the letter box on the last day of the sitting. However, if you prefer, you can ask the sitter to wait until you return so they can hand them over to you personally. If you would like reassurance that all is going OK during the pet sitting, you can ask the sitter to send you regular updates. Many sitters are more than happy to send photos and videos so you can see how your pet is getting on. This ensures you get regular updates and also sets your mind at rest as far as the pet sitter is concerned.